“I looked into the mirror the other day. What I saw was my hair turning gray. My father wrote this poem in 1962 when he was 45 years old. The aesthetic treatments that are available today didn’t exist. Had they been, he would have used them. He often said that as we age “men develop character and women get wrinkles!” However, what he really meant was that he was looking old and wrinkled as well. Today things are different. We have affordable non-invasive treatments for men and women that can soften the “ghastly wrinkles” and volumize the hollows that develop on our faces as we age. Scientifically proven medical grade skincare products can be used to help your skin look healthy and radiant . With the use of these treatments and products, you can see a younger more refreshed self looking back in the mirror. Willo MediSpa is a medical office dedicated to giving you the best medical care for your non-invasive aesthetic needs. Our goal is to offer you superior services and products at an affordable price in a pleasant relaxed atmosphere where you won’t feel rushed or pushed into a decision. I believe it is important for you to be informed about options, expected results and possible side effects of any treatment. We use safe and respected products which come directly from the manufacturers Allergan, Merz Aesthetics™, SkinMedica®and Neova®. We do not use products imported from non-FDA approved sources. My personal goal is to be your aesthetic guide and use my medical knowledge and artistic skill to help you realize your goals. I want to help you look and feel your best. Most of my patients want a subtle refreshed look, not the extreme celebrity look, and want to see results with minimal to no downtime. My patients love it when their friends look at them and know something is different but can’t figure out what it is. They smile to themselves when they hear “Have you done something different to your hair?” Schedule a Complimentary Consultation so we can discuss your aesthetic goals and what I can do for you. Looking for a medical spa for cosmetic treatments near you? Look no further than Willo MediSpa in Phoenix. Doctor Nello Rossi, the doctor and owner of Willo MediSpa offers affordable non-invasive treatments for men and women that can lessen the ghastly wrinkles and volumize the hollows that develop in our faces for a younger look. 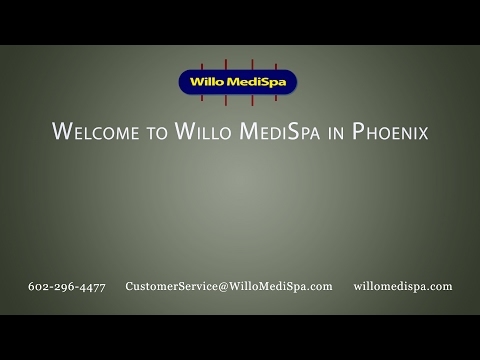 To learn more about the medical care that Dr. Nello Rossi offers at Willo MediSpa visit our website at willomedispa.com or give us a call at 602-296-4477.